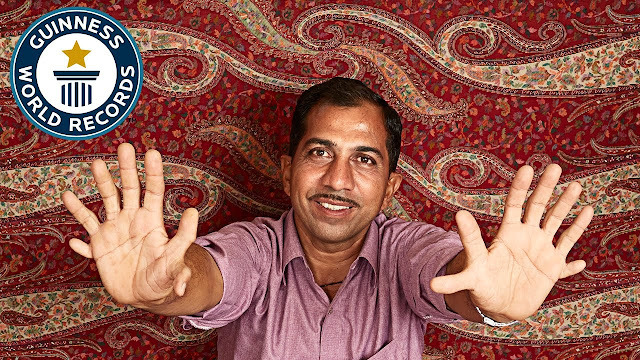 Devendra Suthar, 43, from Gujarat, India, broke the Guinness World Records for the man with most fingers and toes. Devendra Suthar, with 28 fingers and toes, was born with a condition called polydactylism, a common birth defect characterized by extra fingers or toes. He has seven fingers on each of his hands and seven toes on each foot. He also wears specially made shoes so that the seven toes on each foot are comfortable.